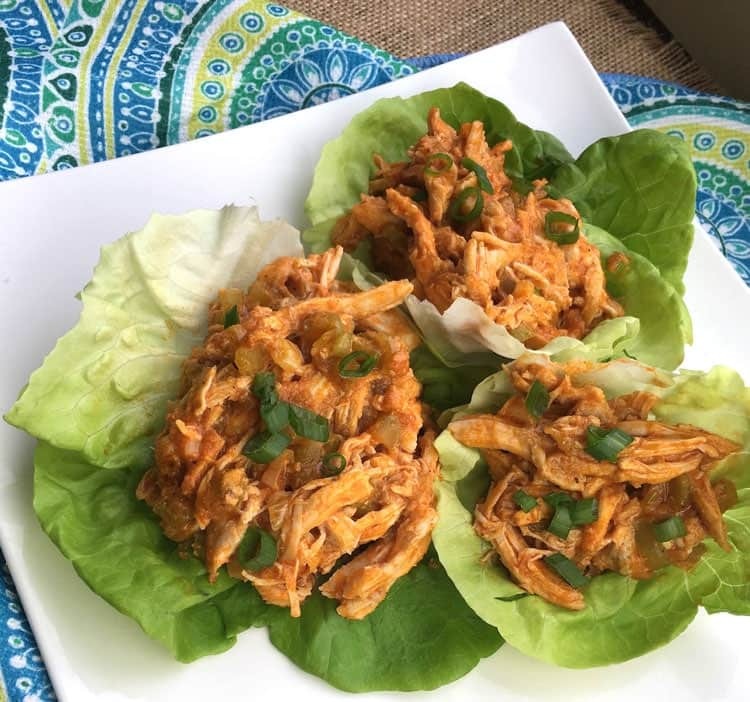 Lettuce wraps are a perfect way to enjoy a lighter meal, and these Buffalo Chicken Lettuce Wraps definitely deliver. One-pan meals are a godsend on busy nights when you want to save time in the kitchen. From cooking time, to cleaning up time, this meal comes together from start to finish in no time at all. If you like lighter meals like our lettuce wraps, you might also like these recipes: Chunky Chicken Salad Lettuce Wrap, Salsa Verde Mexican Pasta Salad, Heirloom Tomato Salad. This recipe features all the wonderful flavor found in traditional Buffalo wings – with none of the guilt! Like we mentioned, this satisfying one-pan meal comes together in less than 30 minutes. Which is crazy fast! Take into account the clean-up time…of just one pan and your dinnertime dishes, which will seriously take all of 5 minutes depending on if you are hand-washing your dishes or tossing them into the dishwasher. 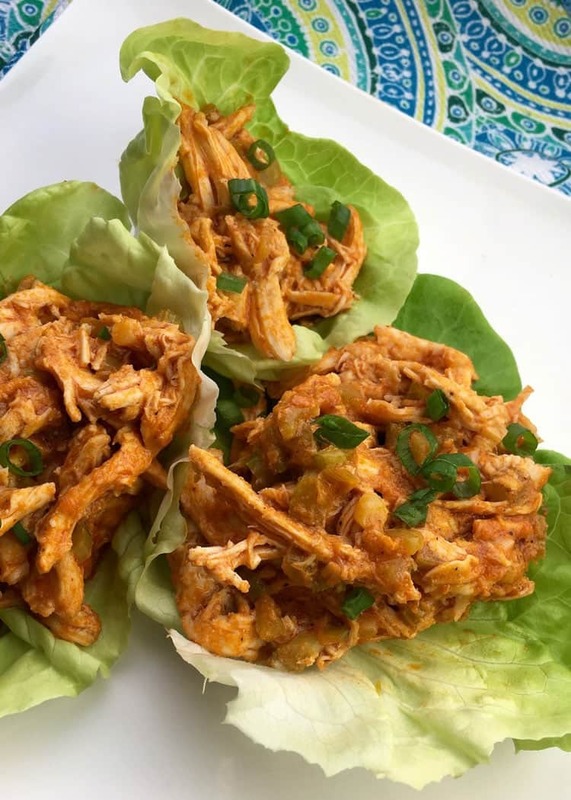 We love these Buffalo Chicken Lettuce Wraps, but we also love Blue Cheese Buffalo Burgers, Buffalo Chicken Dip, and pairing them up with our DIY Ranch Seasoning. 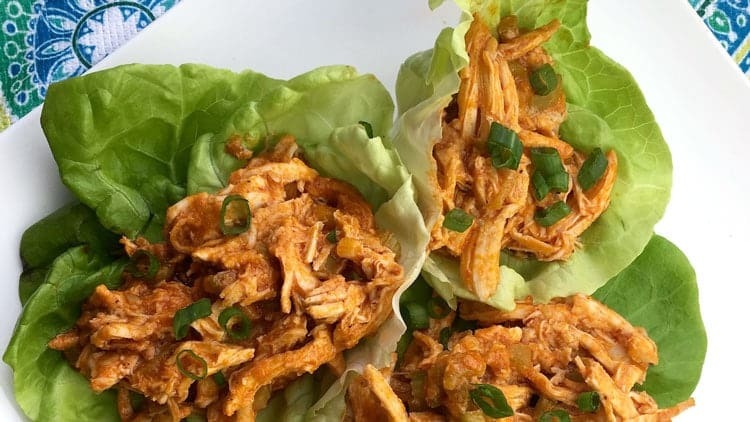 Learn how to make the best lettuce wraps with buffalo chicken. 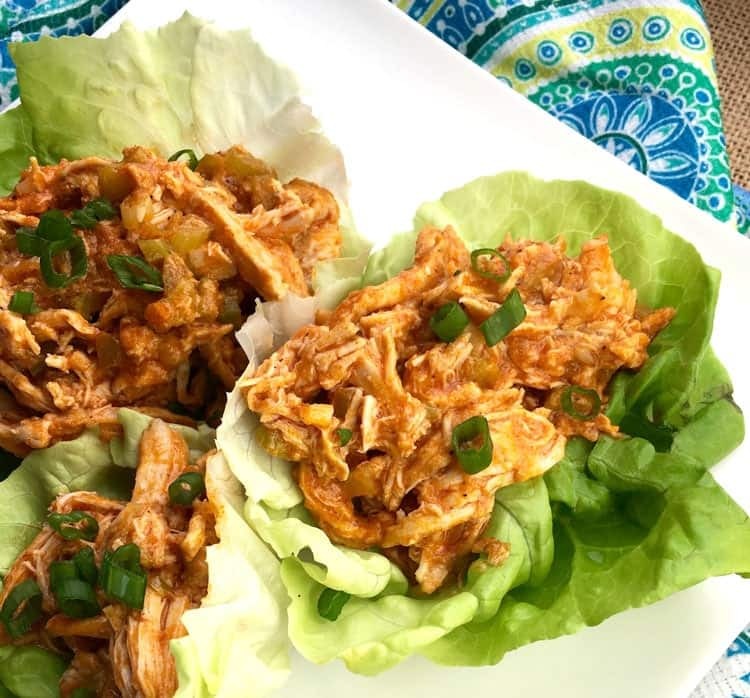 Delicious, flavorful buffalo chicken lettuce wraps are easy to make and so tasty! Melt the coconut oil in a large sauté pan over medium heat. Add the diced pepper and celery, and sauté until tender, around 5 minutes. Add the chicken, onion powder, and garlic powder. Stir well and season with salt and pepper, to taste. Cook for 2-3 minutes, or until the chicken is heated through. Add the hot sauce and sauté while stirring for another minute or two, until the sauce is heated through and everything is well coated. Remove from heat and stir in the sliced green onions. To serve, fill Bibb lettuce cups with a few tablespoons of the chicken mixture and enjoy!